If you're a regular user of SR 99/Aurora Avenue North between the Aurora Bridge and just north of Mercer Street, we'd like to thank you for doing your part to help keep traffic delays to a minimum during the past two weeks. Crews are around the halfway mark for the first phase of sign foundation installation work happening on this stretch of SR 99 and are pleased with the progress they've made. Work is continuing on schedule and crews expect to move into the second phase in mid-February as planned. We've been trying to do our part, too, through daily coordination with King County Metro and the Seattle Department of Transportation. Travel times for cars and buses during peak periods in the morning and afternoon have remained fairly steady – not just on SR 99 but on nearby arterials as well. So whether you've been leaving your house or work an hour earlier, riding your bike, or avoiding SR 99 altogether, we appreciate your efforts. If you've driven the mile-long work zone during the day you might not have seen a lot of work happening and may have wondered, "What exactly are they doing in there?" We're here to give you an update on what's been accomplished so far. As of now, crews have completed the following work, the majority of which has taken place at night and over the weekend, when we allow crews to close a second lane in each direction. 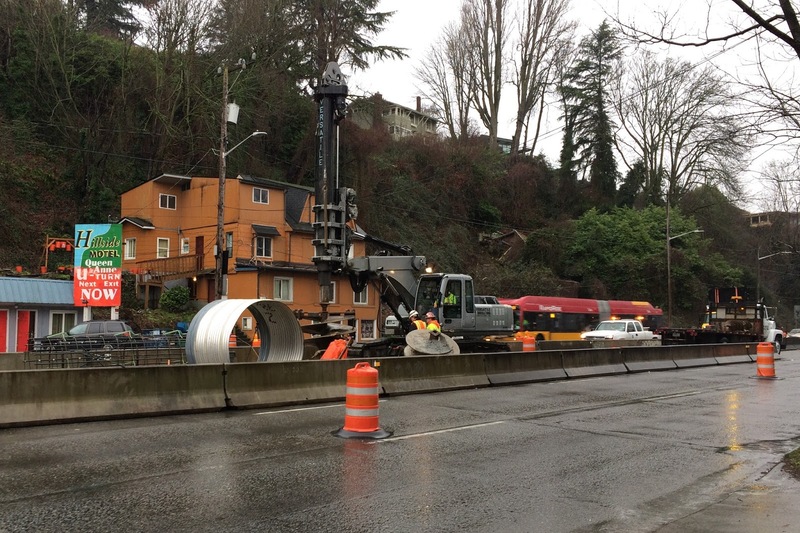 Placed approximately 1,600 feet of temporary concrete barrier to establish four separate work zones between the Aurora Bridge and Highland Drive. Cut and removed approximately 1,600 square feet of pavement and 800 feet of existing concrete barrier to make room for the new sign structure foundations. Drilled four underground shafts for the sign foundations. Each shaft is 4½ feet in diameter and extends 14 to 18 feet underground. Drilling work went quicker than expected and crews were able to reopen the lanes more than 24 hours ahead of schedule last weekend. Began forming the actual foundations by placing rebar and pouring concrete into the shafts. Began installing underground power and communications lines at two of the sign locations that will support electronic messaging systems and data collection tools. Place concrete barriers around each foundation for additional protection and support. Complete installation of underground power and communications lines. Remove the temporary concrete barrier, restripe the lanes and restore SR 99 back to its original configuration. The second phase of work is scheduled to begin mid-February and includes drilling, placing rebar and pouring concrete for one remaining sign foundation near Comstock Street. Phase 2 will require a localized closure in the southbound curb lane near Comstock Street for approximately three weeks. All northbound lanes will be reopened at that time. This work is not expected to significantly impact traffic. If you would like additional information about the SR 99 lane closures or ongoing construction at the north end of the SR 99 tunnel, please visit our project website. Thank you again for your patience as we complete this work. Yesterday, we almost lost an employee in a work zone. Fortunately, our employee is recovering at home and our partner, Washington State Patrol, is investigating the incident. This blog isn’t to talk about the details of what happened; rather, it’s to focus attention to where it needs to be: the road. Each and every day, we – me included – travel all over for work, meetings, appointments and ultimately home to our loved ones. All too often we see people speeding or driving distracted, but when we drive, we must stay focused. In a split second, it could mean your life … or the life of someone else. We talk daily about safety. It’s our first priority in everything we do. Your safety is important and so is ours. Yesterday is a perfect example. We kept many passes closed because weather and avalanche danger simply made them too dangerous to cross. Is it inconvenient? Yes! But, we do it because we want everyone to get where they are going safely. Your safety is our priority and we need your help to make our safety your priority. We need you to drive safely. Pay attention. 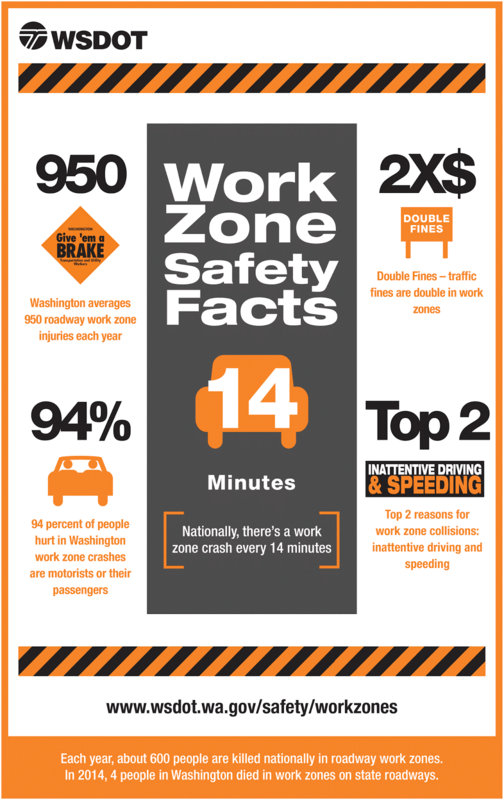 Drive slowly in work zones. Limit distractions. Put down your phone. Nothing is worth jeopardizing your ability to go home … or ours. We are committed to your safety and I need you to be committed to ours. Ever since the I-405 Express Toll Lanes opened in September 2015, we've been listening to your feedback and suggestions for how we can improve the system. While we can't make every change, when we see an opportunity to improve the system, we want to do it. Starting Thursday night, our contractor's crews will continue making adjustments to the express toll lanes based on your feedback. Comment: I have a hard time exiting northbound I-405 to get to I-5. There isn't enough room. Change: We're pulling back 425 feet of striping to allow additional room and time for drivers to exit the express toll lanes and merge over to I-5. See map item 1. Comment: On southbound I-405, I can't tell where the express toll lanes end in Bellevue. Change: We're adding "Exit Only" wording to the pavement on the southbound express toll lanes at Northeast 6th Street in Bellevue to alert solo drivers that they need to merge to the right lane to continue south on I-405. See map item 2. Comment: There isn't enough room to exit and enter the express toll lanes on northbound I-405 between NE 195th Street and SR 527. Change: We're improving express toll lane access in that area by extending the access points by a little over 400 feet to give drivers additional time to merge in and out of the system. See map item 3. Northbound I-405 at Northeast 6th Street — We improved pavement marking and provided longer access to provide a clearer entry point and allow drivers more time to get into the express toll lane system. See map item 4. 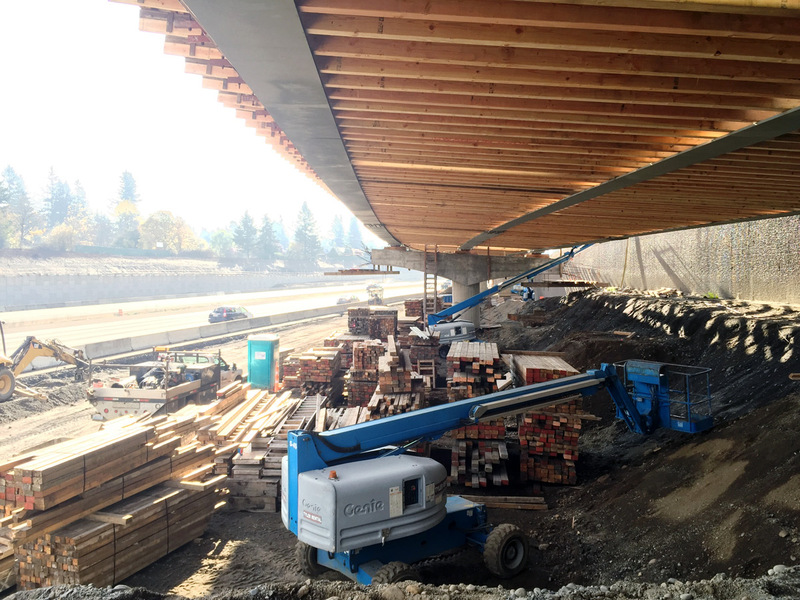 Southbound I-405 at SR 527 — We added 500 feet of access room to allow traffic to enter the system earlier and aid in decreasing congestion. See map item 5. Southbound I-405 at Northeast 160th Street — We added additional pavement markings at 160th at the beginning of the two lane section of the express toll lanes to help drivers clearly see the transition. See map item 6. We know many of you have other areas you'd like addressed, and we're still listening and looking at more options. We've heard a lot of feedback about the merge from SR 520 to northbound I-405. In the next two months we will be adjusting the express toll lane access point and lengthening it to provide more open entry into the express toll lanes. This change will relieve some of the congestion in the general purpose lanes in the SR 520 interchange area. Stay tuned for more information about the feedback-driven improvements we're making to the system. Wherever you're headed, our goal is to give you an option to get there faster. Update: 8:15 p.m. I-90 is open both directions. Traction tires advised. Update: I-90 will reopen at 8 p.m. tonight. Update: 4:15 p.m.: Depending on weather conditions we are tentatively planning to reopen both directions of I-90 Snoqualmie Pass at 9 p.m. tonight. Drivers planning on heading over Snoqualmie Pass should make other plans today, Thursday, Jan. 21 as I-90 will be closed most of the day between North Bend and Ellensburg (mileposts 34 to 106) due to significant avalanche danger. But that’s not all. Both directions of US 2 east of Stevens Pass, between Tumwater Canyon (milepost 99) and Coles Corner (milepost 84) are also closed due to high avalanche danger. A detour is set up via the Chumstick Highway for all traffic except vehicles over 10,000 gross vehicle weight. We have no estimated time for either roadway to reopen as heavy rain and snowfall is expected throughout the day. The National Weather Service is predicting 3 to 8 inches of new snow in the Cascades with high avalanche danger at all levels of the Cascades throughout the day. Snow is also falling on US 12 White Pass with compact snow and slush on the roadway. Areas of the pass are reduced to one lane for repairs with a traffic light directing traffic through. If you use White Pass as an alternate route to get east-west, expect delays. You can stay updated on mountain pass conditions on our website. Another option to get over the Cascades, especially if you’re down south, is using I-84 along the Columbia River near Portland. You can then connect with I-82 up into the Tri-Cities. Remember last winter, when we were begging for snowfall? Seems a long time ago, right? We’ve had to close the passes countless times this season as we’re coming off one of our snowiest Decembers. Our maintenance crews have been working tirelessly to try to keep the roadways clear and safe for travelers. In this case, significant snow fell on Snoqualmie Pass overnight Wednesday into Thursday, with snow continuing to fall during the day. The snow is wet and heavy. The freezing level is also expected to rise significantly, which will create warmer conditions on the pass. All of that is a dangerous recipe for avalanches. Our crews will be doing avalanche control work on both US 2 and I-90 throughout the day, but until we can be confident there’s no danger to drivers (and our workers), we have to keep the roadways closed. We’ll keep you updated throughout the day on this on this blog but also be sure to stay engaged by following our @WSDOT, @SnoqualmiePass, @wsdot_passes and @WSDOT_East accounts on Twitter and checking our Facebook page. If you must travel over the mountains, be sure you and your car are prepared, check our travel alerts frequently, download our mobile app and tune in to media broadcasts. Both directions of I-90 are closed from North Bend (milepost 34) to Ellensburg (milepost 106) due to high avalanche danger. COMPLETE 10:25 a.m. Jan. 21: Both directions of US 2 Stevens Pass will be closed at 9 a.m. for avalanche control. Eastbound traffic will be stopped at milepost 70, six miles east of the Stevens Pass summit, and westbound traffic will stop at milepost 72. These closures typically take 30 minutes to 2 hours to complete. UPDATE 3:13 p.m. Jan. 21: Both directions of US 2 in Tumwater Canyon will remain closed overnight Thursday due to ongoing heavy precipitation and avalanche danger. Conditions will be reevaluated at daylight Friday. Both directions of US 2 from Tumwater Canyon (milepost 99) to Coles Corner (milepost 84) are closed due to heavy precipitation and high avalanche danger. There is no estimate for when the road will reopen. A detour is in place via Chumstick Highway with vehicles over 10,000 gross vehicle weight prohibited except for local deliveries. Both directions of SR 20 near SR 530 (mileposts 94-95) are blocked due to landslide danger and an unstable slope following significant precipitation. There is a detour via SR 530 but drivers should add plenty of extra time to their trips. The roadway is not expected to reopen until Friday when crews can reassess the hillside safely. I was talking to a friend of mine about the North Aurora lane closures that began Monday, Jan. 18 on SR 99. He said that old habits are hard to break. No doubt, that's true, but whether people adjusted their schedules, tried alternate forms of transportation or a different route, the first full commute during the lane closures went fairly smoothly. Give yourself a round of applause, but don't change what you're doing. There was a lot of build-up leading toward the Tuesday, Jan 19 commute. It was the first big test of the North Aurora lane closures, happening now until mid-February. Between Jan. 18 and mid-February we're closing the middle lanes of SR 99 between the south side of the Aurora Bridge and just north of Mercer Street around the clock. An additional lane will close at night and during several weekends. This closure is happening so crews can install foundations for new overhead traffic signs. WSDOT picked this time of year to do the work because traffic volumes are at their lowest on this stretch of roadway. Work crews are making the most of this extended closure. Since the lane reduction started, they have put new striping in place to help drivers maintain lane safety. They've also moved in work equipment and started cutting and breaking pavement. How did the first day go? During the morning commute, there was a southbound backup over the Aurora Bridge as drivers merged for the lane closure. In the afternoon, the northbound backup stretched down the Viaduct to Seneca Street as drivers merged into the construction area. Past the merge point, traffic was flowing. Photos courtesy: Seattle DOT on Jan. 19. Left image shows the heaviest backup on SB SR 99 at 7:15 a.m. Right image shows heaviest NB SR 99 backup on the Viaduct on Jan. 19 at 5:15 p.m.
Alternate routes into Seattle were a little heavier than normal. It appeared that many drivers chose to use 15th Avenue Northwest to get across the Lake Washington Ship Canal while others went south down Greenwood Avenue North. As expected, drivers also used I-5 as an alternate, and while traffic was a little heavier than a normal Tuesday, it was a bit more congested than average everywhere due to the rain. For those who don't normally take I-5, the express lanes are southbound in the morning and northbound by the afternoon commute. We are working closely with King County Metro Transit during this closure. The southbound bus lane south of the Aurora Bridge is open to all traffic, and Metro has buses on stand-by to plug in as needed to maintain schedules. Metro reports that transit times looked normal given the rainy conditions overall. The Seattle Police Department also is working to ensure that bus lanes remain clear in areas that are not open to all traffic. While drivers did a great job taking alternate routes, alternating their commute times and/or getting to work in a different way, we all need to maintain this level of diligence during this closure. Your willingness to alter your route and help spread the message is going to make the next few weeks manageable. You can check traffic conditions on SR 99 by viewing the Live Traffic Video on Seattle Department of Transportation's Travelers Information Map. Click on the street cameras you'd like to see. The south end of the Aurora lane closures start at Valley Street and end just north of Raye Street before the Aurora Avenue Bridge. SDOT's Aurora Avenue North and Aloha Street cameras will give you a look at traffic on the south end of the closure. You can also use Twitter for help with your commute each day. We know these closures are a challenge and that extra traffic adds stress to your life. 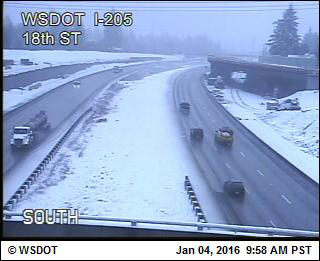 We appreciate your effort to help us with this closure as WSDOT, and our partners, work as quickly as we safely can. No one likes hearing "the check's in the mail" when they're waiting for a payment. We understand that prompt payment is important. That's why we've introduced a new online tool to help contractors and subcontractors track exactly what we've paid – and when – on many of our construction contracts. The online Construction Contract Progress Payment Reporting System tool will be especially helpful for subcontractors, who sometimes wonder if they're being paid in a timely fashion because they're a step removed from the overall contract. Now, with a few mouse clicks they can see when the prime contractor was paid, which in turn starts the clock for their own payment deadline. Delayed payment complaints from subcontractors are relatively rare – in nearly 8,000 payments during two construction seasons, we tallied 75 inquiries, 17 of which weren't quickly resolved. Any unnecessary delay is concerning and can be particularly difficult on small businesses or Disadvantaged Business Enterprises. When larger companies hire certified minority- or women-owned DBEs, they help the state meet federal diversity requirements and move us closer to our goals for increasing economic opportunities for everyone. In those cases, we pay the main, or prime, contractor and then they're required to pay the subcontractor within 10 days of receiving payment. This new tool will let any subcontractor track all payments on a project, so they'll know exactly when their 10-day payment window starts. That helps eliminate confusion and helps clarify who to call about any questions. The new tool gives contractors – and anyone else – an extra layer of transparency and a quicker way to double check payment information. We hope this helps answer questions as well help quickly resolve any payment concerns. For more details on the subcontractor payment process, check out this brochure. Interested in bidding on upcoming WSDOT projects? Stop by the Connecting Washington Open House to learn about upcoming projects and program opportunities for the next six years. When: Jan. 21, 4 to 7 p.m.
Have you found yourself stressing out about the upcoming SR 99/Aurora Avenue lane closures? From one daily Aurora commuter and transit rider to another, I get you. Four to five weeks of mile-long lane closures south of the Aurora Bridge is going to be a challenge. Which is why we’re asking for help and patience from Aurora travelers. 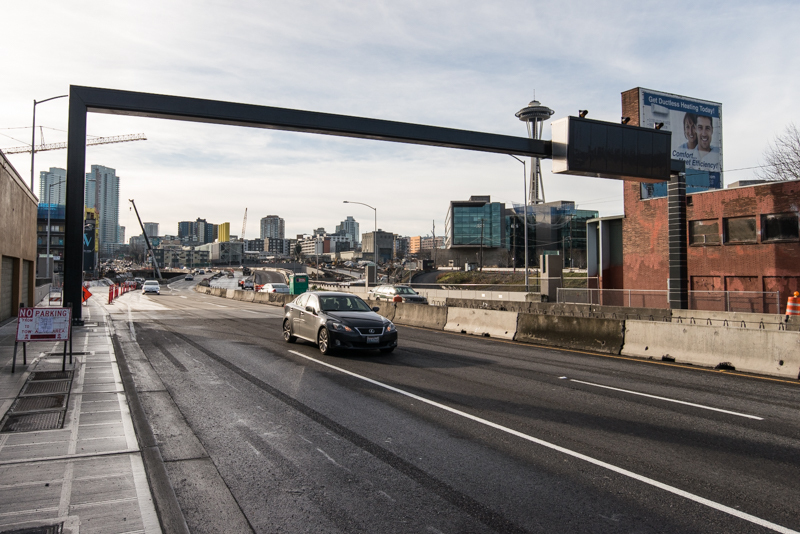 Roughly 74,000 vehicles per day use this stretch of SR 99 between the Aurora Bridge and the Battery Street Tunnel. That’s like the entire populations of Lynnwood and Edmonds driving to or from downtown Seattle on this section of Aurora every day. During the first phase of lane closures, we’re opening the southbound bus-only lane to all drivers in an effort to balance the needs of cars, trucks and buses; however, we still expect some hefty backups in what is an already congested area. If you ride the bus, plan ahead and expect a full bus during peak commute times. Get friendly with your neighbors and set up a neighborhood carpool, or share a ride with others in a carpool or vanpool. If you have the flexibility, consider logging into work from home or adjusting your work hours to avoid peak commute travel times in the morning and afternoon (generally from 7 to 10 a.m. and 4 to 7 p.m.). Join the crowds of daily bicycle commuters and try riding a bike to work a few times a week. Skip the gym and still stick to that resolution by walking or jogging to work. We recognize that the “commuting opportunities” above depend entirely on individuals’ schedules, abilities and circumstances. 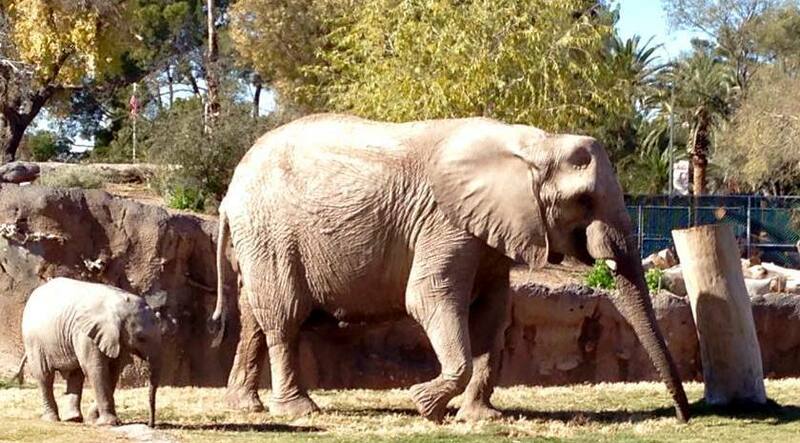 For some people, these travel alternatives simply won’t work. But if they do, we want to encourage and support you in giving them a try. For me, I’m planning to ride my bike to and from work downtown at least three times per week. Hopping on my bike during the dreariest Seattle months is going to be tough, and isn’t for everybody, but I’m looking forward to the challenge. There are many great commuting resources out there, and a lot of creative, resourceful folks living amongst us. For every commuter that’s able to head out an hour earlier each morning or hop on their bike, there’s an extra space available on the road or on the bus. Thanks in advance for your patience during this work, and for doing your part to help us minimize congestion. We can say the I-405 express toll lanes are doing what they were designed to do: people who use in transit, vanpools and carpools have received the immediate benefit of a reliable trip. But we know you want the data, so we've crunched the numbers from the past few months (raw data available here). 14 minutes: the average time savings for drivers who paid to use the express toll lanes. This means more predictability and faster travel times to I-405. 7 minutes: the average travel time savings in the regular lanes compared to fall 2014 southbound trips on I-405. For northbound trips, travel times in the regular lanes are 1 minute faster. Over 1 Million: the number of trips in the express toll lanes each month since they opened last September. 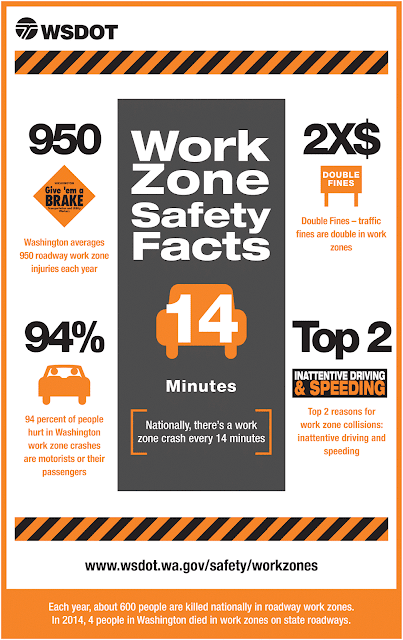 We know that people take 450,000 trips on I-405 between Bellevue and Lynnwood each day. 600,000+: the number of unique users who chose to use the express toll lanes for a faster trip. This reinforces what we've seen across the country drivers may not use express toll lanes every day, but they benefit from a reliable trip when it is needed most. 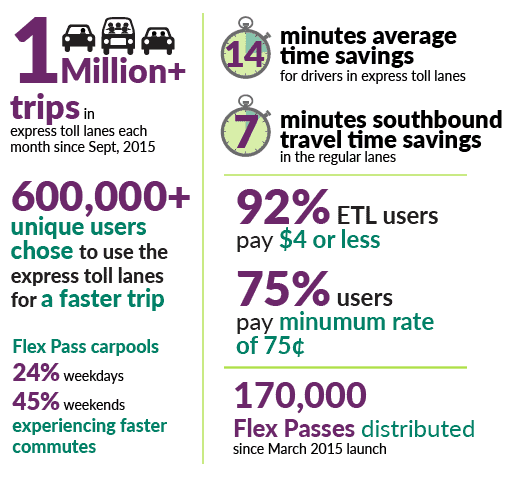 92 %: the amount of ETL users who regularly pay $4 or less to use the express toll lanes. 150,000: the increase in Good To Go! accounts since February 2015. Today, there are roughly 620,000 active Good To Go! accounts. 170,000: the number of Flex Passes distributed since the March 2015 launch. That's more than double what we expected in the first year of I-405 express toll lanes. 24%: the amount of carpools using a Flex Pass to declare themselves as carpools on weekdays. Carpoolers with a Flex Pass are experiencing faster commutes during peak rush hours. 45%: the amount of Flex Pass carpoolers on weekends. Traffic north of SR 522 is more congested than it was before in both the regular lanes and express toll lanes. While recent improvements fixed a previous bottleneck in Kirkland, additional capacity is needed between SR 522 and I-5. Drivers making shorter trips experience more congestion. For example, drivers heading northbound on I-405 from Bellevue were seeing new bottlenecks near downtown. However, recently there is less of a bottleneck as more drivers are using the NE 6th Street direct access ramp to enter the system. Overall weekend traffic volumes in the express toll lanes have increased over time, but they are still under 2014 HOV volumes. This could be the result of a variety of factors, including drivers with less familiarity with the ETL system. We're taking action to help fix problem areas based on feedback from drivers, including adjustments to lane striping, the toll rate algorithm, and access points. We know express toll lanes have been a big change for commuters in the region, and based on experience from other projects across the nation, we expect a learning curve of six months to a year. We do have a set timetable to demonstrate whether the system is working. When the Legislature authorized tolling on I-405 in 2011, they gave WSDOT two years after launch to achieve certain performance measures in the express toll lanes. "THANK YOU VERY MUCH for creating I-405 Express Lanes!!! It made life so much easier for me, especially when I want to make sure I'm on time for my meetings or appointments." - Mikhail B., Lynnwood, WA. **UPDATE**11:23 a.m. Friday, Jan. 22: Crews have made good progress on clearing the slide. Workers drilled 20 strategically placed charges into the rock mass and at about 2 p.m. on Thursday, Jan. 21, set off the charges, removing 6,500 cubic yards of unstable rock from the north face of Pine Canyon. The blast brought down the intended unstable mass so no more blasting is anticipated. After an inspection and go-ahead, the contractor began removing the 11,000 cubic yards of rock from the roadway on Friday and will work around the clock with a goal of opening the roadway by Friday, Jan. 29. 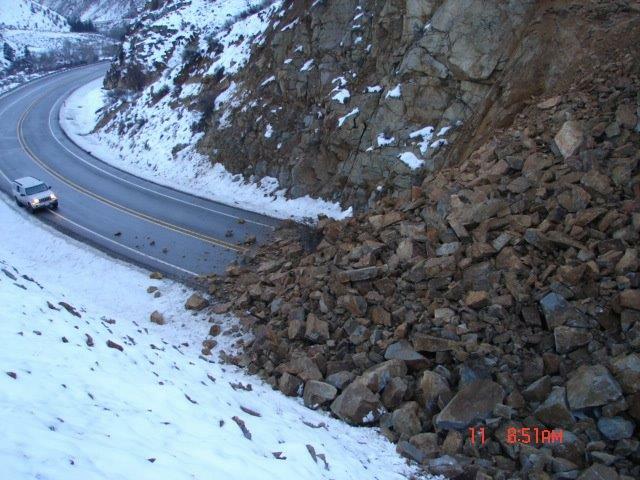 The rockslide blocking US Highway 2 between Wenatchee and Waterville is proving to be a difficult fix! An estimated 7,000 cubic yards of rock covers 100 feet of highway. It’s 30 to 40 feet deep in places with boulders the size of trucks. That’s a lot of clean-up; roughly 700 dump truck loads. Why hasn’t clean up started? Safety is our first priority. On Monday, our geotechnical team evaluated the slope above the rockslide and determined that it is unstable. The slope may have several thousand more cubic yards of rock that must be stabilized or removed before its safe for anyone to work in the slide zone below. 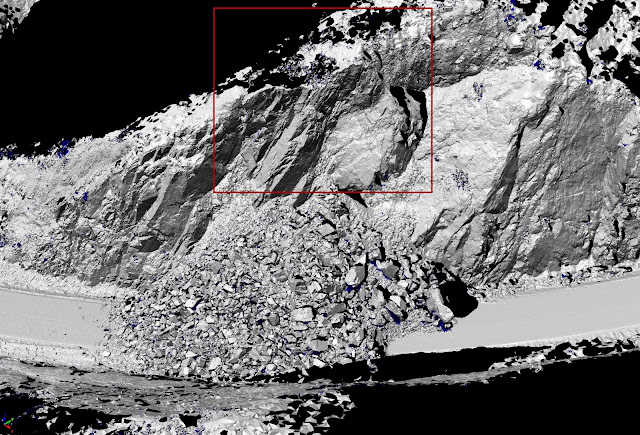 Yesterday, we did more evaluation of the slope above the slide using ground based LIDAR (Light Detection and Ranging). LIDAR is a surveying technique that provides high resolution topography. That information lets us analyze the stability of this area of concern (see picture below) and determine how we can stabilize or remove it. LIDAR image of the slide, the area in the red box is approx 6,000 cubic yards of material that expect will also come down off of the hillside. What we know for sure is that we don't yet have a timeline for reopening the highway. We realize this is very frustrating to not have a timeline. However, safety is our first priority, both for the traveling public and our employees and contractor crews. There aren’t any easy detour alternatives. From the closure point at the bottom of Pine Canyon at Orondo (where US 2 and US 97 split) to Waterville is 10 miles. Now, to get to Waterville from Orondo there are two recommended detour alternatives. What’s the best way to stay updated? Since we opened the I-405 express toll lanes last September, we've heard from a lot of drivers that they'd like to check the toll rates online before heading out. We're happy to report that drivers can now check I-405 express toll lane traffic conditions and get near real-time toll rates online using the new map tool. 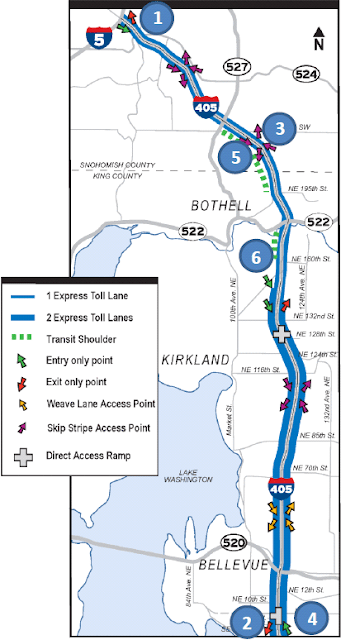 You can begin using the map by clicking the express toll lane button on the Seattle traffic map page. You'll notice the map displays green, yellow and red colors to reflect traffic volumes along the corridor. Those volumes, as well as speeds, in both the express toll lanes and the general purpose lanes determine the current toll rate. New toll rates are calculated every five minutes, so this means even if you check rates just before heading out the door, toll rates may be different by the time you get onto I-405. Toll rates displayed on the map will be approximately five minutes behind the rates displayed on the road. Why? Between processing, publishing, and serving the map to users on the website, the whole process takes a couple of minutes - and it can take up to 5 minutes. So, this means if you're traveling on I-405 and a passenger in your vehicle is looking at the toll rate map on his or her phone – the toll rate on the sign may be different than what is displayed on the map. The bottom line: Customers will be charged the toll rate they see on the roadway sign when enter the express toll lanes. The roadway signs will show the correct toll rate. Am I going to pay a toll each time I drive past a rate sign? The answer to this one is no. This question just keeps on coming back – you always pay the price you see when you enter and you will only be charged one rate per trip. The signs may show different rates for different destinations, but you never need to add these rates together. If the rates go up while you are driving, you'll still pay the original rate you saw when entering the express toll lane. The rates displayed on the roadway signs are for any point up to and including the listed destination. In other words, once you pass a listed destination you pay the rate for the next destination you saw on the sign when you entered. We’re quickly nearing some major lane closures in both directions of SR 99/Aurora Avenue heading into and out of downtown Seattle. Starting Jan. 18 and continuing for several weeks, drivers and bus riders should expect slower commutes and some challenging traffic, which is never welcome news. Why these particular closures now? Please read on. 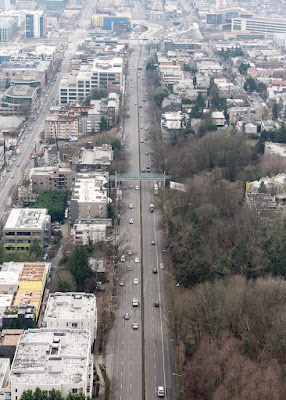 The inside lane in each direction of Aurora Avenue North between the Aurora Bridge and just north of Mercer Street will close around the clock for four to five weeks. In an effort to try to balance traffic as much as possible, we’re opening up the southbound bus-only lane to all traffic during the closure. We recognize that this will be a challenge to everyone, including transit users, but with 37,000 trips southbound daily on that stretch, restricting all passenger vehicles to one lane would back traffic up beyond the Aurora Bridge. That would create even more commuting difficulty for everyone. An additional lane will close at night and during some weekends to allow construction crews to safely complete their work. When the inside lanes reopen, the right lane of southbound Aurora Avenue North will close for one block near Comstock Street for another two weeks. Again, we recognize that Aurora Avenue North is already a tight squeeze and we don’t take closing lanes lightly. We’re working with our partners at the City of Seattle and King County Metro to make your trips as smooth as possible. Metro will have extra buses on standby to help maintain schedules but drivers should expect delays, consider alternate routes if possible and use caution if traveling in the transit lane as buses will continue to make all of their stops. What is the closure for? During the lane closures, contractor crews building the northern approach to the new SR 99 tunnel will install the foundations for overhead traffic signs that will communicate important information to drivers – similar to the large electronic signs on I-5 and other roads. Crews will install foundations for a sign structure like this one on during the upcoming SR 99 lane closures. Why do this now for a tunnel that isn’t complete? Great question. Bertha, the SR 99 tunneling machine, is tunneling again and headed toward downtown Seattle. The sign foundation work has to be done, and we’ve already delayed these closures once. Delaying any more isn’t going to make it any easier. We’re doing the work in winter because traffic volumes are lower and we can avoid the cascade of sporting events, concerts and other activities that make Seattle’s spring and summer so fun. For northbound and southbound combined, roughly 74,000 vehicles and 36,500 bus riders use the stretch of road between the Aurora Bridge and the Battery Street Tunnel on a daily basis. Congestion grows as the year progresses. The bottom line? There’s never a good time to close lanes but we chose this time of year to minimize the pain as much as possible. Why will it take so long? These signs require sturdy, concrete-encased pedestals along with communication and power lines and traffic sensors. It’s no small task. We need large drill rigs and specialized crews to complete the work. We also need concrete barriers to keep drivers and workers safe as they share the narrow roadway. Yes, we could build the foundations one at a time. But that would simply extend the work into the busier traveling months, running into both the Mariners and Sounders seasons, and wouldn’t be an efficient way to spend taxpayer dollars. Why not just work at night? Safety is always our top priority. This work requires us to set up concrete barriers to separate the work area of the traffic. Setting up barriers is a time-consuming process so leaving them in place allows crews to spend more time working, which means a much shorter overall duration for the work. And that means less time drivers and bus riders are stuck in traffic. Stay tuned for another blog that will discuss some of the tools you can use to make your trip as smooth as possible. In the meantime, please start planning now and check out our webpage for traveler tips and more closure information. As always, we appreciate your patience. We’ll work hard to complete the work as quickly as possible. Know you have an unpaid toll? Don't wait to receive a late fee, pay your bill at MyGoodToGo.com, by mail, or over the phone. Save money with a Good To Go! account. Open a Good To Go! account to pay a lower toll rate and avoid future bills in the mail. Call us to open an account, and be sure to ask the agent to add unpaid tolls to your account via Pay By Plate. You can save up to $1.75 per toll. Good news if you receive a late fee or civil penalty.This past summer we introduced a new customer service policy offering first-time forgiveness of penalties. If this is your first time receiving a civil penalty for unpaid tolls you can request a one-time waiver of all unpaid late fees and penalties as long as you pay the original tolls. Most penalties can now be removed by the first customer service representative you speak with, and you can dispute any part of the toll bill that you feel you are not responsible for due to mitigating circumstances. Call 1-866-936-8246 or visit one of the customer centers in Bellevue, the University District or Gig Harbor to request that your civil penalty be waived. Calling is the fastest way to reduce your bill and the best option if you are unsure why you got a penalty. Wait times are shortest on Thursday, Friday, and Saturday mornings. The goal is to give our front line customer service representatives more flexibility to help drivers who have been caught off guard by toll penalties. We will work with you to resolve any billing issues so you can avoid penalties in the future. Over 30,000 vehicle owners have had their civil penalties and fees waived. We've dismissed more than $11.5 million in civil penalties and late fees. Of course, for most customers this never comes up – only about 2 percent of trips result in a civil penalty. If you didn't know the new rules for carpools on I-405, you can still call customer service and we'll waive your first Pay By Mail toll bill. If you ordered a Flex Pass online, you can also request a credit for carpool trips made while you were waiting for it to arrive. To avoid getting charged as a carpool on I-405 in future, you'll need to get a Good To Go! account with a Flex Pass set to HOV mode and the right number of occupants. If you carpool at least once a week on I-405, you can still request a free Flex Pass until March, 2016. Motorcyclists who receive toll bills on the I-405 express toll lanes may also email us to ask for their bill to be waived. Motorcyclists need to install a motorcycle pass to avoid a toll bill, and can still request a free pass if they ride on I-405. If a pass is installed and you receive a bill, let us know right away so we can determine the cause, check your pass, and correct the bill. If you choose not to install a pass, a toll bill will be issued for your trips on I-405 express toll lanes, and you will need to contact us to avoid a civil penalty. The new bridge connecting Northeast 18th Street to southbound Interstate 205 in east Vancouver is one step closer to completion. 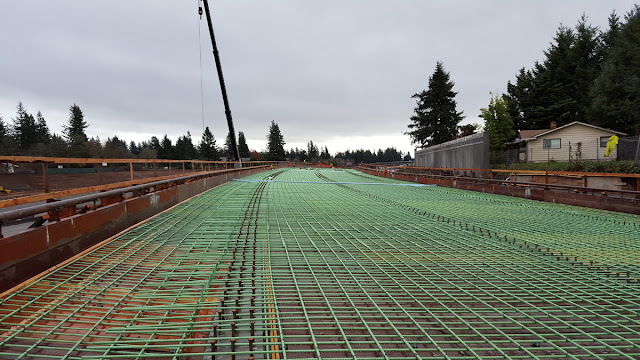 On Thursday, Jan. 7, our contractor crews will pour the concrete that will form the bridge deck of the new on-ramp. How much concrete is needed? We'll use 500 cubic yards of concrete to build the bridge deck. The total weight of the concrete for the new bridge is more than 2 million pounds. 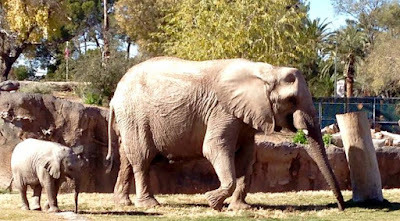 That's the weight of more than 100 elephants! You might remember that the bridge's massive steel girders arrived in September 2015. Since then, our contractor used thousands of pieces of wood to craft a temporary mold on top of the girders, forming the deck of the bridge. Steel bars were then installed inside the mold which act as the skeleton of the new on-ramp. Weather plays a big role in concrete installation. Insulated blankets, tarps and heaters are used to keep newly poured concrete warm if the outside temperature drops near freezing. Construction is typically done on dry days, as moisture also impacts how concrete sets. Crews act quickly to cover the freshly laid concrete with large tarps if a surprise rain or snow shower hits. The work on the new bridge is far from complete. Our contractor will monitor the temperature of the concrete while it sets during the next 14 days. After that, we'll test the concrete to ensure it's able to support both its own weight and the weight of the traffic that will use the new on-ramp. We anticipate opening the new interchange to traffic this fall. 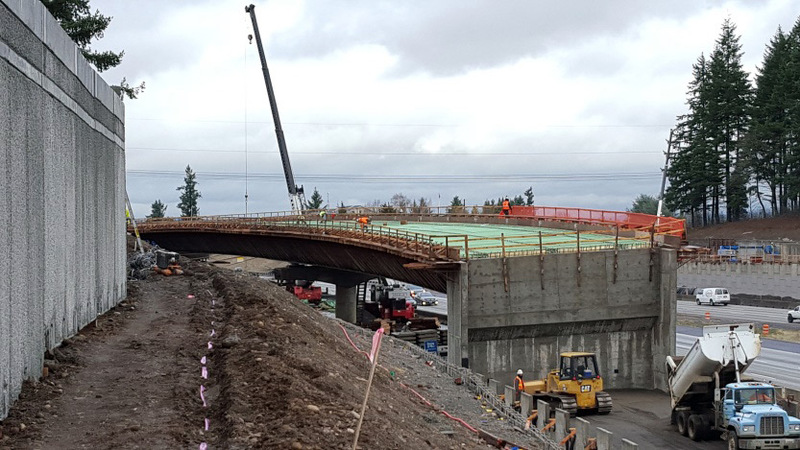 It will improve safety and reduce congestion on I-205 between State Route 500 and Mill Plain Boulevard.